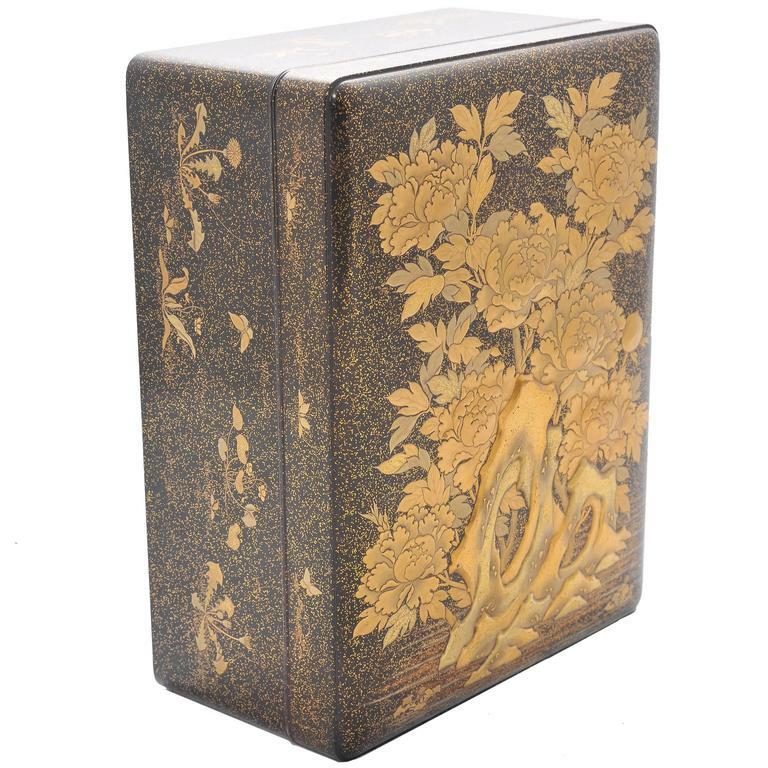 A fine quality Japanese late 19th century lacquer book, having wonderful gilded flower and foliate decoration to the out side and in. 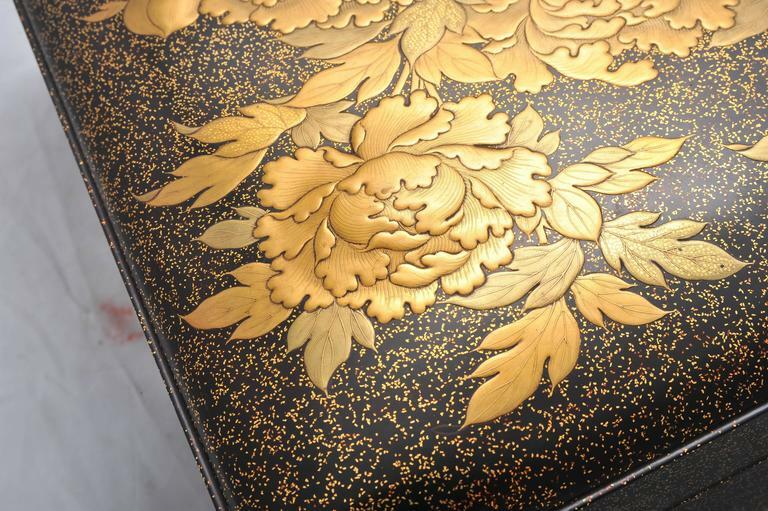 A good quality late 19th century Kingwood and gilded ormolu-mounted jewellery box, having a Sevres style porcelain plaque and silk lined interior. 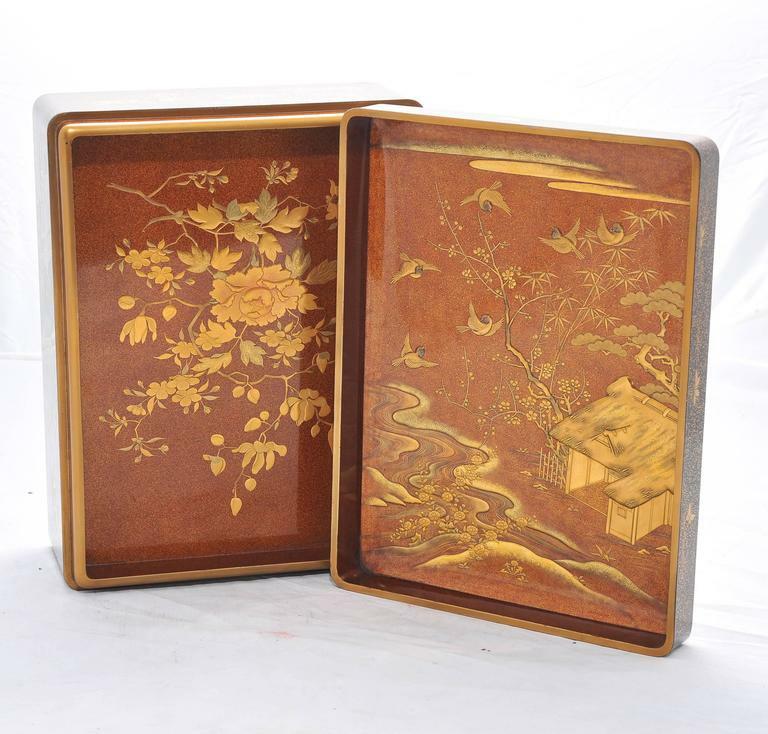 This is a fine quality antique inlaid lacquered Oriental box with gold fleck inlaid lacquered interior. 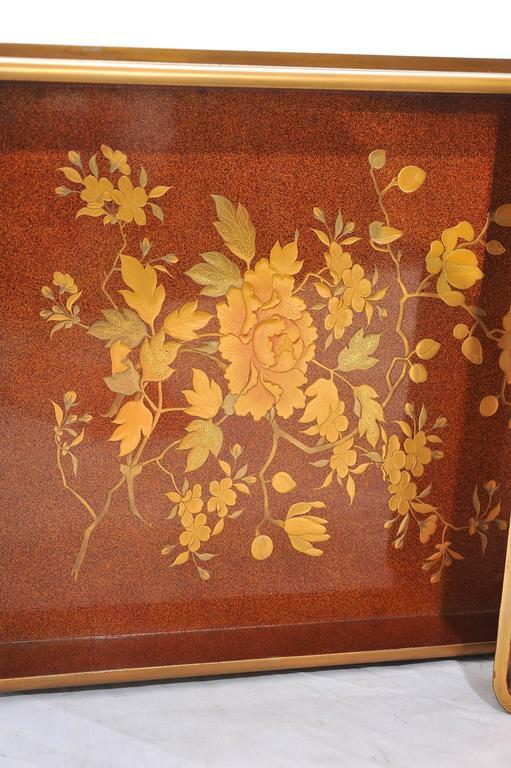 It has a fantastic colour and condition. 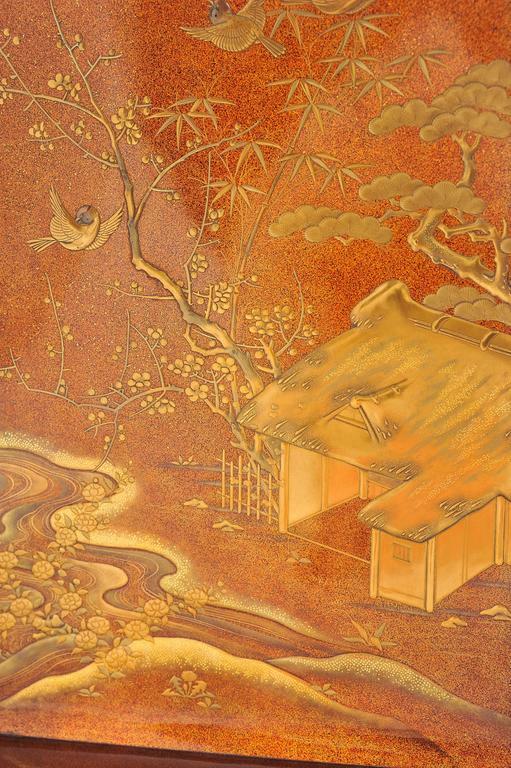 An 18th century Japanese lacquered box with very finely rendered scene and Nashiji interior. 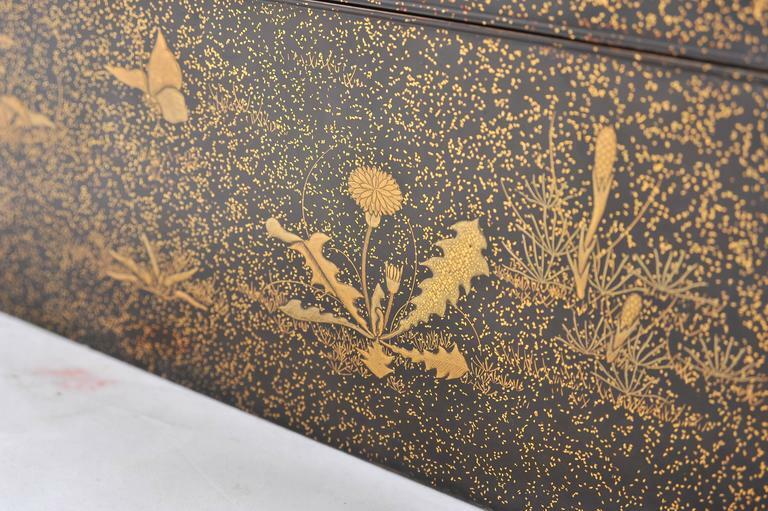 Very large round 19th century Japanese lacquer covered box with pawlonia leaf crests. 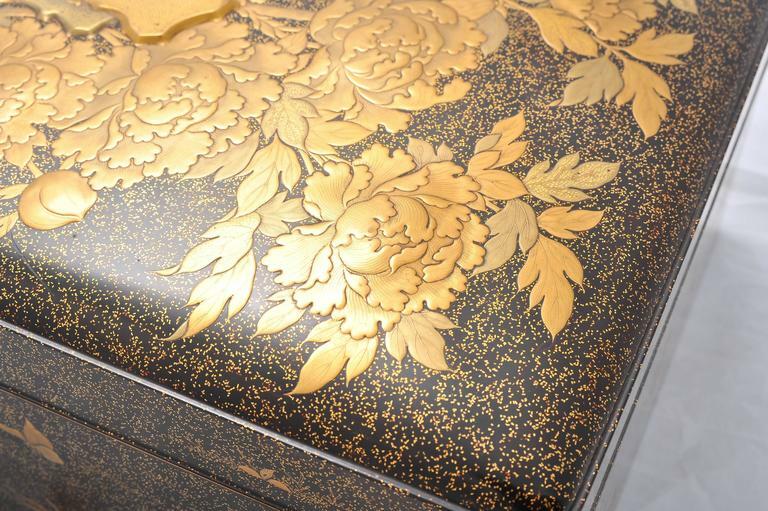 Japanese black lacquer box with metal inlay. 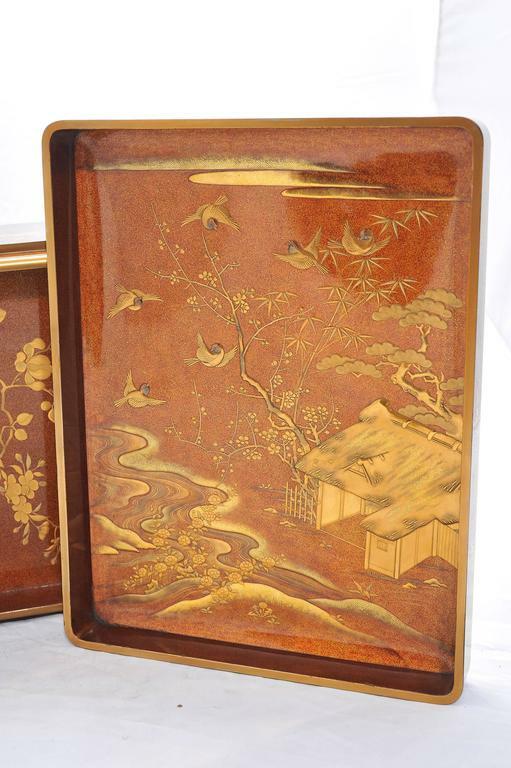 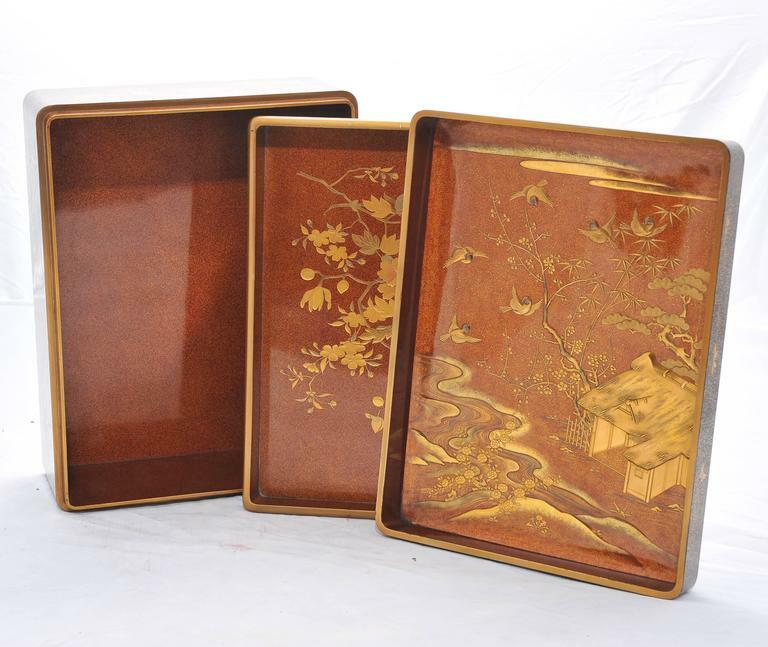 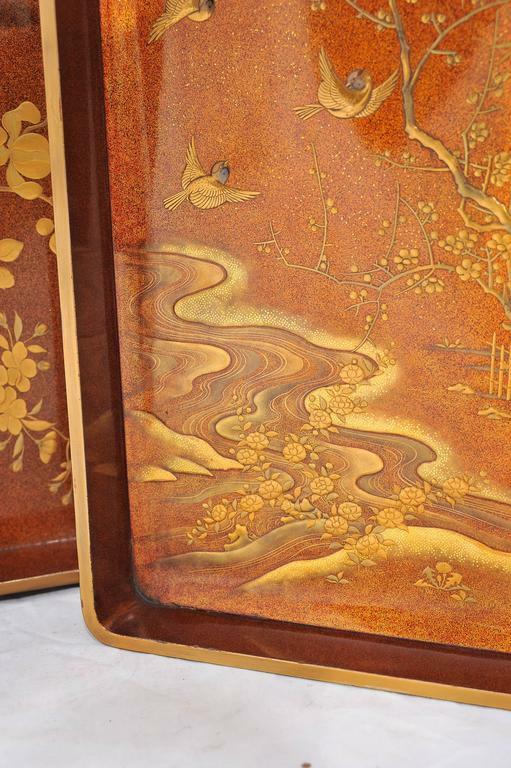 Large lacquered wood box with Japanese scene.